For centuries people have believed that romantic love is a mystery: it can’t be predicted, it can’t be controlled, and it doesn’t necessarily make sense. Still, it’s one of the most powerful forces in our lives. Even when we can logically see that someone isn’t good for us, if our hearts tug us toward Ms. Wrong, most of us follow. Human beings crave the feeling of falling in love. And for many of us, that feeling often happens with someone with whom we’re not really compatible – and fails to happen with someone who might be a good fit. 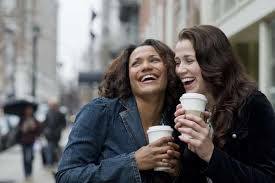 If you meet someone for coffee and there isn’t instant chemistry, chances are that one or both of you will decline to keep dating. And this is part of what makes coffee dates dangerous. The truth is, “sparks” and instant attraction have very little to do with long-term happiness. Contemporary researchers in the fields of neuroscience, biological anthropology and psychology have cracked the code and discovered that romantic attraction isn’t such a mystery after all. It does make sense, but the sense it makes is purely biological. For instance, studies show that people are most attracted to the sweat scent of others who have different immune system strengths – which is great if you want to make sure the two of you can have healthy offspring. People are also attracted to partners who are different from them in key genetic ways, which probably evolved as a way to keep us from mating with our relatives – since that would produce much higher rates of birth defects. Obviously, if you’re a woman seeking a female partner, reproductive success is not an issue. But if you follow your attraction instincts, your biology will still steer you according to those criteria! Most of the women we work with, and all of the women who sign up for Conscious Girlfriend matchmaking, are seeking deeply intimate, fulfilling, lasting love. But your biology and your emotional priorities are simply not on the same page. Therefore, without intervention, you’re likely to choose partners based on factors that have helped ensure the survival of our species for millions of years – but are unlikely to create the relationship you desire as a conscious twenty-first century lesbian or queer woman. Coffee dates are dangerous because if sparks fly, you’re likely to ignore everything else – which could get you into big trouble. But they’re equally problematic because they usually don’t produce sparks. Unless there’s powerful, biologically-based chemistry, you’re unlikely to connect deeply over coffee, even if the two of you might actually be compatible. Research shows that doing something novel, risky or even frightening together helps people bond. So if you meet for coffee and then get stuck in a major natural disaster together, you might just fall in love! Otherwise, you’d be better off going on a scary roller coaster or bungee jumping together on a first date, rather than sipping a beverage. Scary activities not your cup of tea? The next best thing is to do something neither of you does often. That’s because new experiences produce brain chemistry very similar to the “falling in love” feeling, making you more likely to feel that elusive connection. But there’s an even more direct route to creating a feeling of connection and closeness. In fact, it can be so direct that it needs to be handled with care – since you wouldn’t want to drink a love potion around just anyone! Psychologist Robert Epstein, the former editor of Psychology Today and a pioneering love researcher, has devised numerous activities which produce strong feelings of closeness between strangers within just a few minutes. Students in his classes bond rapidly through these exercises, and when they bring them back into their other relationships, closeness soars there, too. The take-home message is this: lust, attraction, limerence, feeling close and connected, and even “falling in love” aren’t actually mysterious. They also don’t signal that you’re meant to be together. They are simply brain chemistry states. Psychologist Epstein actually suggests that compatible would-be partners enter into what he calls a “love contract” to help produce in-love brain chemistry. This contract is a mutual, voluntary commitment to engage in activities that are likely to build closeness and create romantic love, as well as lay the groundwork for a lasting bond, for at least 3-6 months. Dating. For the duration of this contract, we will only date each other, and will have no romantic or sexual contact with others. Goals. We share the mutually beneficial goal of knowing each other deeply, expressing our thoughts and feelings to each other, learning to satisfy each other’s needs and wants, learning to resolve any conflicts that might arise between us, working to overcome any inhibitions that might block us from love, and learning to love each other with a love that is genuine and ever-growing. – Seeing a love coach together to help us become better able to share with and understand one another. – Going on getaways and attending retreats that might further our love. – Participating in exercises designed to build feelings of trust and connection. Duration. This agreement will end on _____ date. If we have reached our goal, we will mark that date with celebration. If not, we will either agree to extend this love contract, or let it lapse without further obligation. Of course, such contracts should only be entered into by two people who are fairly compatible. Epstein defines this compatibility as a lack of characteristics the other person finds strongly objectionable, and at least a potential attraction to each other. We’d add that “love contract” partners should share similar values, visions and priorities for a relationship. “Given these very basic requirements—which each of us shares, most likely, with thousands of other people—I believe that two people can learn to love,” Epstein says. To those who quibble that this approach doesn’t sound romantic, the twice-divorced Epstein retorts, “Failure isn’t romantic either!” He is now happily remarried to a woman with whom he implemented a Love Contract. What Kinds of Activities Facilitate Closeness? Soul Gazing. Standing or sitting about two feet away from each other, look deeply into each other’s eyes, trying to look into the very core of your beings. Do this for about two minutes and then talk about what you saw. Two as One Exercise. Embracing each other gently, begin to sense your partner’s breathing and gradually try to synchronize your breathing with hers. After a few minutes, you might feel that the two of you have merged. Monkey Love. Standing or sitting fairly near each other, start moving your hands, arms and legs any way you like—but in a fashion that perfectly imitates your partner. This is fun but also challenging. You will both feel as if you are moving voluntarily, but your actions are also linked to those of your partner. Falling in Love. This is a trust exercise, one of many that increase mutual feelings of vulnerability. From a standing position, simply let yourself fall backward into the arms of your partner. Then trade places. Repeat several times and then talk about your feelings. Strangers who do this exercise sometimes feel connected to each other for years.